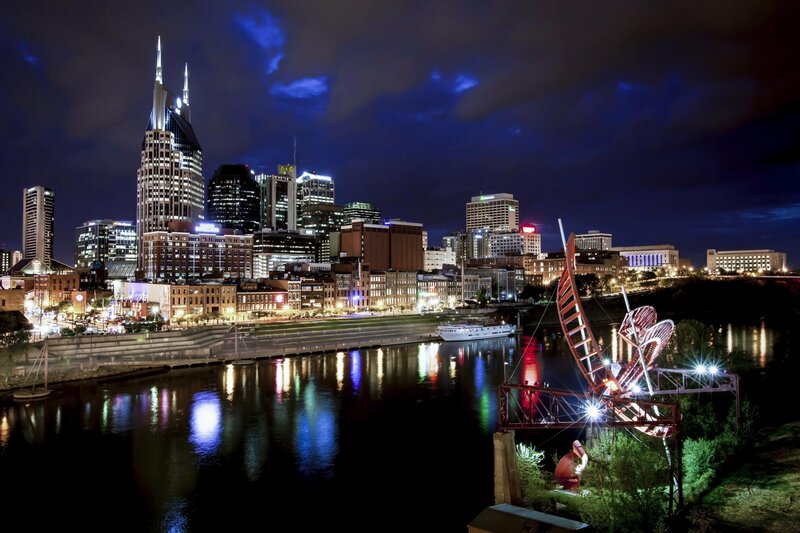 In the heart of Tennessee is our state's rapidly growing capital, Nashville. Back in 1779 it was founded by James Robertson, John Donelson and American frontiersmen. It was given its name by Francis Nash, who was an American Revolutionary war hero. Once Nashville was founded, the city began to grow quickly, mostly because it was an important port on the Cumberland River. Following its creation, Nashville was named the state’s capital in 1843. The Battle of Nashville then took place two decades later, in 1864, and was an important Union victory. It didn’t take long after the Civil War for the city to get its shipping and trade positions back following the battle. Then, in the late 19th century the city really became prosperous. The 1970s were when Nashville’s growth was evident. That was followed in the 1990s by a huge economic boom. Phil Bredesen, who at the time was the Tennessee Mayor, helped improve the city’s landmarks by either building them or renovating them. Today we’re still seeing a lot of growth and Music City holds a special place in many people’s hearts. Click Here To Search New Construction In Nashville!